Actress Renuka Shahane, who is returning to the big screen after 15 years in 3 Storeys, told news agency IANS that roles for women actor in Bollywood have changed, which is a progressive sign. Renuka Shahane cited Anushka Sharma, Kareena Kapoor and Rani Mukerji's example and said: "There is a positive change and I appreciate that. I think now our films are going in the right direction. I am happy to observe how married women (actresses) are equally desirable now, unlike earlier days. 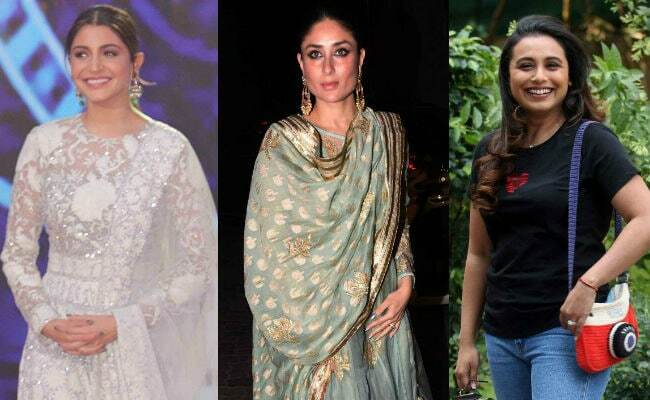 Whether it is Anushka, Kareena or Rani, they are all resuming work after their marriage and pregnancy. Good roles are written for a woman of our age." Renuka also said that Vidya Balan's contribution in this paradigm shift is also immense. "There are various phases of our life and all of them are explored onscreen now. Vidya is making a huge difference with her kind of roles. She is playing her age, but with so much variety, and that should be celebrated," she told IANS. Renuka Shahane is best known for her role in Sooraj Barjatya's Hum Aapke Hain Koun...! but the actress told IANS that she is "not that Pooja Bhabhi." She said: "I am not always giving that perfect smile to the world. I also get angry, curious and feel various other emotions. There are people I meet in public places who tell me, 'But Pooja bhabhi to aise nahi baat karti hai'. To that, I have reacted saying, "Because I am Renuka, not Pooja bhabhi," reports IANS. Renuka Shahane said that she always wanted to play characters which could challenge her as a performer but "after a certain point of time, I was getting roles where my characters had good presence on-screen, but were not in a great space as an actress, as a performer. At this stage of my career, only screen presence cannot satisfy me," she told IANS. Renuka Shahane has also starred in popular TV shows such as Imtihaan, Ghutan and Kora Kagaz.